Our goal will always be to continue to support and help clients improve their organizations by making it easier to communicate with customers/patients through the use of valuable support materials. 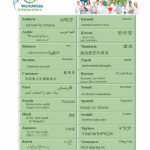 Support materials can range from quick reference guides that make it easy both staff and customers/patients to use the WorldWide Interpreters service. 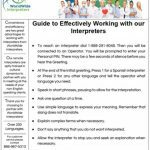 This guide provides helpful tips to working with our interpreters. Convenience and efficiency are two great advantages to working with interpreters from WorldWide Interpreters. Our interpreters are aptly trained in cultural dynamics to partner with you in meeting all the needs of your non-English speaking clients. Quick reference labels are 1″ x 2 5/8″ vinyl labels that can be placed on phones, back of the badges or other convenient areas. Each label is customized to each client to include your unique PIN Code and Dial-in phone number. Special posters are available by request for each U.S. State to comply with Section 1557 of the Affordable Care Act, requiring healthcare organizations to clearly notify and provide access to their state’s Top 15 Languages. 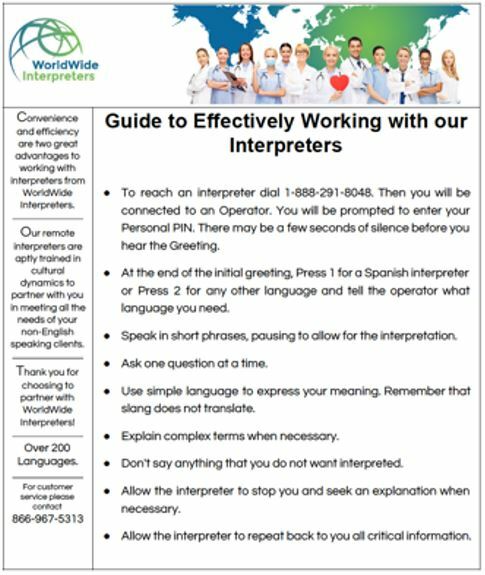 This poster guide provides helpful tips to working with our interpreters. Quick reference labels are 1″ x 2 5/8″ vinyl labels to place in convenient areas. 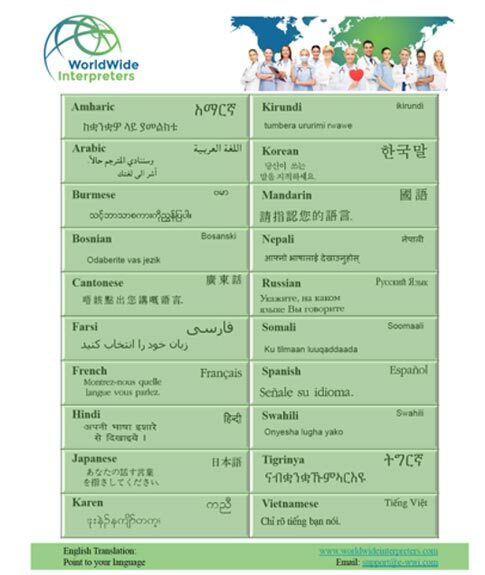 Top 20 Languages Poster 8.5"x11"
An easy-to-point you language poster that customers/patients can use to efficiently communicate that they require an interpreter. Top 20 Languages Poster 11"x17"